If you love a good story, then look no further. 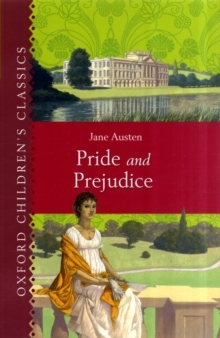 Oxford Children's Classics bring together the most unforgettable stories ever told. They're books to treasure and return to again and again. When Elizabeth Bennet first meets Mr Darcy she finds him to be most arrogant. He, in turn, is determined not to be impressed by Elizabeth's beauty and wit. As events unfold their paths cross with more and more frequency, and their disdain for each other grows. Can they ever overcome their prejudices and realize that first impressions are not always reliable?